Sueded Comforter Only $1.99 SHIPPED (+FREE SHIPPING) at Woman Within! 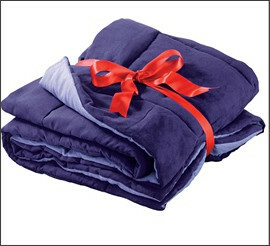 Woman Within has this Amethyst Sueded Comforter for only $1.99 with FREE SHIPPING! Use code CHNEG5 to get this great price! Scoop it up fast if you want it . . . it'll go quick! Go through Shop At Home for 4% cash back!